Meaning of the Quote:I feel as if I am going to sneeze but do not, and (therefore) my beloved is about to think (of me) but does not. Meaning:I would conceal my lust, but alas, it yields not to my will but breaks out like a sneeze. Meaning : When I continued to be sulky he sneezed and thought I would (then) wish him a long life. Meaning : When I sneezed she blessed me, but at once changed (her mind) and wept, asking, "At the thought of whom did you sneeze?" Each time you sneeze, you probably don’t give it a lot of thought. After all, we’ve been sneezing since the time we were babies and we all know that it is caused by when foreign particles enter our nose and irritate the nasal mucous. 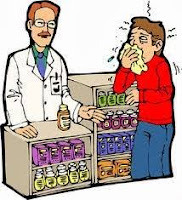 But sneezes are not as simple as they seem; they are associated with lots of beliefs and superstitions around the world. During the old ages, it was believed that one’s heart stopped beating when one sneezed. So if you are still alive after a sneeze, that’s because someone must have blessed you!.In Tamil Nadu and Kerala it is considered inauspicious to sneeze upon an idea or journey, just like the north Indians; though a subsequent sneeze cancels the effect of the first one.However the general response towards a sneeze in India is by blessing the person to live long; like in Bihar it is ‘Chattanji’, in Oriya it is ‘Buda/budi te hai tha’, in Tamil it is ‘nooru aayisu/ deerghaayisu’, in Kashmiri it is ‘Bismillah/ Kustaan chu yaad karan’. In the Badaga community of the Tamils, it is considered a good omen if the father sneezes before the umbilical cord has been cut when the baby is born. Many such beliefs are widely practiced world over.Some other popular superstitions are if a person hiccups, it is believed that someone is talking about him or remembering him. One theory holds that this is a way of keeping alive the memory of family members who are travelling or live far away. came one day when mother and I were at home. “O, people of this house, please give me some water to drink” he said. Mother said to me, “Pour the water in the thick gold vessel, and give it to him to drink,my daughter with bright jewels”. that he had come there. He seized my bangled arm, and pressed it, and scared me. “Mother, look at what he has done”, I shouted. I said to her “he had hiccups while drinking water”. Mother stroked his back gently, and asked him to drink slowly. And what pleasure he gave me – that thief"